The 30th Anniversary Alice Springs Masters Games was another successful event delivered by the Department of Tourism and Culture. The eight day event attracted 3800 competitors participating in 33 sports with over 900 volunteers, a sports workforce of nearly 500, 90 sports medicine personnel and 34 ambassadors. Regarded as the Friendly Games due to the hospitality, warmth, camaraderie and sense of fun Alice Springs is famous for, there were smiles all round, plenty of laughter, bonds being made and friends reuniting. Highlights of the Games included 93 year old Josie Bohn, the Games eldest competitor, participating in lawn bowls, Cold Chisel guitarist Ian Moss participating in basketball, and Victorian cyclist Alan Sandford who was given the all clear from cancer a week out from competition. Games Patron Dawn Fraser was in flying form and the iconic Aussie was up front and centre for the opening and closing ceremonies, as was Honorary Games Ambassador and entertainment personality Daryl Somers, both also assisting with medal presentations. The countdown is now on for the 17th Alice Springs Masters Games to be held from the 13 to 20 October 2018. 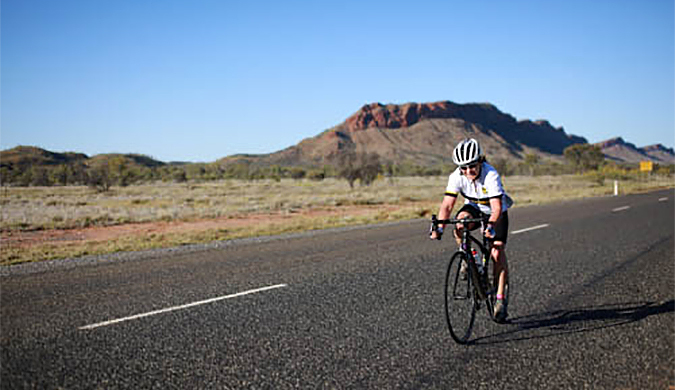 To view some of the experiences of the Alice Springs Masters Games click here. The Alice Springs Masters Games are over for another year with over 3800 competitors participating in 33 sports.